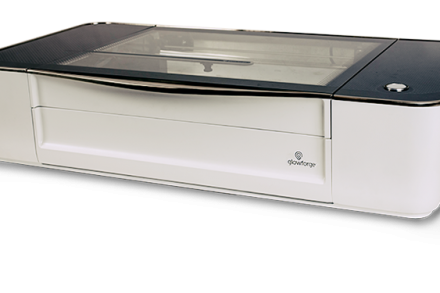 Glowforge, a Seattle, WA-based maker of a 3D laser printer, ended its 30­day crowdfunding campaign on Saturday, October 24th with a total of $27,907,995 in pre­orders. With this, Glowforge became the biggest fixed-­length crowdfunding campaign in history destroying the previous record, which was held on Kickstarter, where the Pebble smartwatch netted $20,338,986 earlier in 2015. The initial goal, which was $100,000, considered enough to place the first factory order, was met within two hours. Led by CEO and cofounder Dan Shapiro, Glowforge makes a 3D laser printer that build objects not only out of plastic but also out of durable materials like wood, leather, acrylic, paper and fabric. The company, which had previously raised $9m in funding from Foundry Group and True Ventures, plans to ship the first units in December, with the bulk of pre­ordered units in the first half of 2016.
International shipping is available to more than 100 countries and pre­orders can still be placed at http://glowforge.com/.